What is SlowMo therapy for? People often experience worries about other people intentionally causing harm, also known as paranoia. Paranoia is one of the most common symptoms of severe mental health problems and is associated with marked distress and disruption to people’s lives. Paranoia tends to be associated with certain thinking habits, called fast thinking. We all think fast and this can be helpful in some situations. At other times, fast thinking may contribute to us feeling more stressed than we need to be. SlowMo therapy works by supporting people to notice their upsetting worries and fast thinking habits, and then provides tips to help them slow down for a moment to notice new information and safer thoughts. SlowMo consists of eight individual, face to face sessions, assisted by a website with interactive stories and games, to help people find out how fast thinking habits can contribute to upsetting thoughts. People try out tips to learn what helps them slow down their thinking and cope with worries, and a mobile app supports the use of these strategies in daily life. The trial will find out whether SlowMo can help people deal with their worries. People from three NHS areas (London, Sussex and Oxford), once they agree, will be chosen randomly to receive SlowMo plus standard treatment (180 people) or standard treatment (180 people). There will be follow-up meetings at 3 months and 6 months, to see how things have changed over time. The SlowMo trial is funded by the NHS’s National Institute of Health Research and Medical Research Council. If SlowMo is found to help people it will be made freely available on the NHS. We’ve been working hard over the last couple of months, recruiting people to the trial. We want to give you all the latest with our newsletter, which gives you updates from the trial and how to help us with recruitment! Want to receieve our newsletter? Subscribe here. Hear one of our participants’, Angie talk about SlowMo therapy on the One Show. 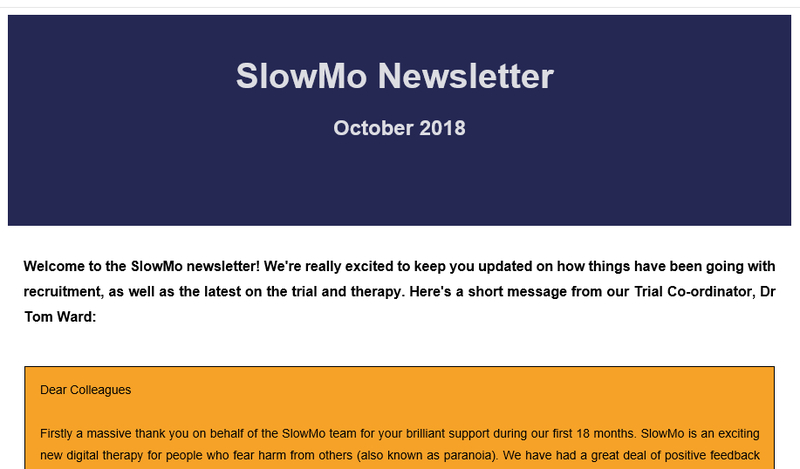 Also, catch Dr Alison McGourty and Dr Kathy Greenwood talking about the development of the SlowMo app, and the impact it has on the lives of people living with psychosis. Watch it now on BBC IPlayer. 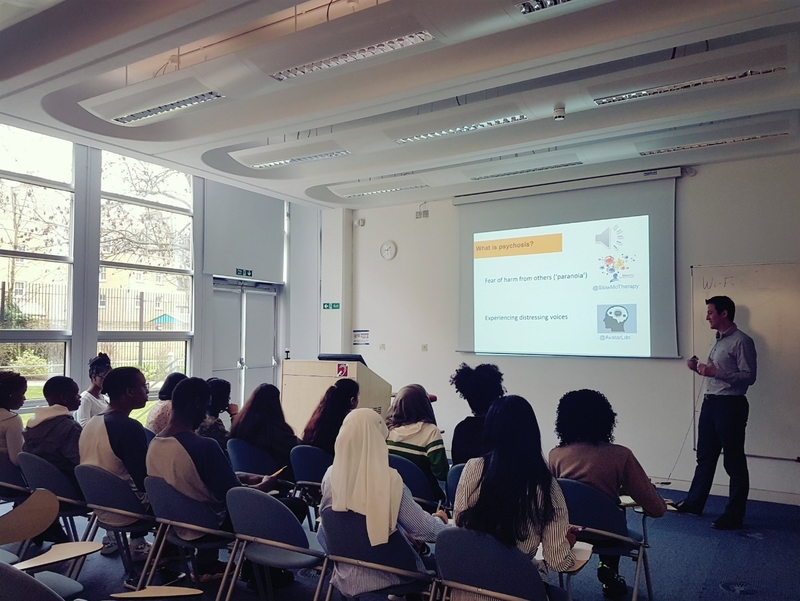 Our trial coordinator, Dr Tom Ward recently gave a talk to local secondary school students, on digital therapies for psychosis. Check out the SlowMo Twitter page to keep up-to-date on all our latest talks and events. 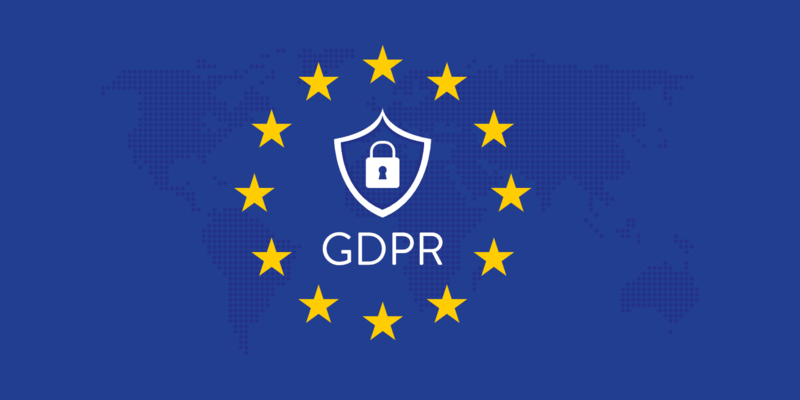 We’re sure you’ve heard about the new EU data protection law, the General Data Protection Regulation (GDPR). Keeping participant data safe and secure is important to us. Please read how we use personal data as part of the SlowMo trial in line with GDPR here. 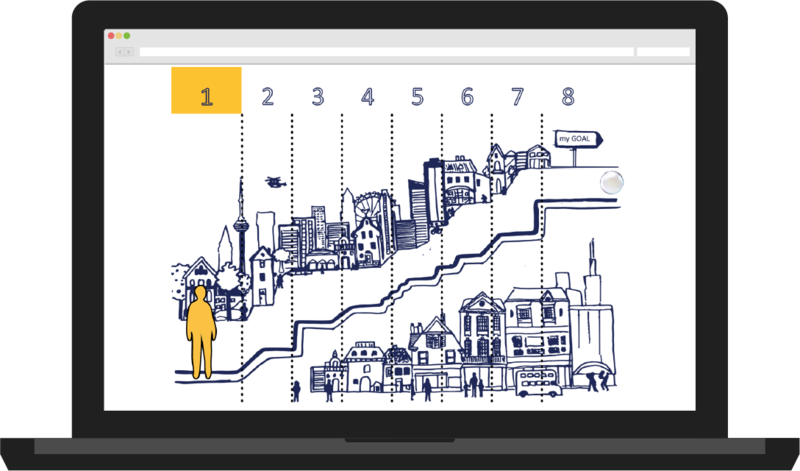 Read how participant data is used for future research here. If you have any questions about this, please get in touch with us using the contact form on the ‘Contact’ page.